Conflict Free Diamonds – Is Kimberley Dead? Watching the recent media scrum surrounding the Charles Taylor war crimes proceedings in The Hague has made me realise how fragile the public image of the jewellery industry is. Naomi Campbell, Mia Farrow, huge dirty-looking rocks, midnight visits to supermodels bedrooms, disgruntled ex agents, African dictators, civil wars, poverty and exploitation, made an intoxicating news cocktail that grabbed the headlines on a daily basis over July and August. Campbell’s appearance may well have added a well-needed touch of super model oxygen to the prosecution case, but it has not served the jewellery trade at all. While Campbell can seemingly lie to the court on camera and then go off on her tropical holiday, the jeweller is not afforded the same luxury. They have to deal with the fall out of the media’s renewed interest in the blood diamond story with their customers. The ease with which the story fast tracked itself onto the front pages has been the most disturbing aspect of the story if you are a jeweller. 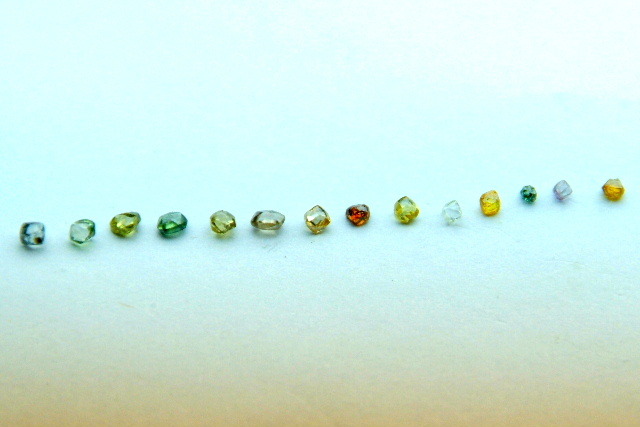 ‘We are encouraged by the fact that all parties to the Kimberley Process, including civil society and the Government of Zimbabwe, were able to agree, at an emergency meeting in St Petersburg 14-15 July, on a work plan that allows Zimbabwe the possibility of making limited exports of rough diamonds from its Marange field’. Zimbabwe is now a country as rich in diamonds as it is in institutionalised human rights violations. 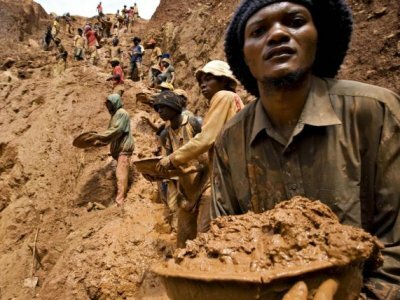 Once again Africa saw the shedding of blood over its diamond fields and as a result Zimbabwe was suspended from the Kimberley Process in November 2008. Two questionable companies Mbada and Canadile were then given the mining leases to the Marange region. Grace Mugabe is reported as profiteering from the countries diamond fields in July of this year. All this adds up to a state of abject confusion, anarchy, human rights abuses, and political corruption. It is worth noting that Zanu-PF control the Army, the Police, the Justice Ministry and the Ministry for Mines. Before the Kimberley Process monitor arrived to investigate the Marange region in March 2010, Mugabe was on record in February and subsequently during the State opening of Parliament in July as saying, “No-one should doubt our resolve to sell our diamonds. On the 11 August the first sale of rough diamond officially sanctioned under the Kimberley Process took place and is estimated according to the Minister for Mines to be worth $250 million. The row now raging between the Finance Minister (MDC) and Minister for Mines (Zanu-PF) demonstrates the highly questionable destination for the proceeds of the diamond sale; with concerns being expressed they will finance the 2012 Zanu-PF election campaign. Is it fair to assume that such a rich deposit of rough diamond will be used by the few to enrich themselves and maintain power to the detriment of the many? I genuinely hope that I am wrong. My conversation with one of the KPCS working group members highlighted the difficult position the group faced. As they explained, the consequences of maintaining the ban on Zimbabwe Diamonds created in their opinion an even worse scenario that the limited sale would create. The diamond industry once united behind the Kimberley Process is now divided about Zimbabwe being allowed to sell 900,000 carats given the systemic abuses of human rights associated with the Marange region. Despite the spin of the diamond establishment to prop up the credentials of the Kimberley Process, I have not spoken to a single jeweller who is happy about the situation. Indeed the American based Rapaport Group has banned any of its members from handling stones from Zimbabwe As recently as 22 August the UK’s largest buying group the Company of Master Jewellers has gone on record supporting the ban on Zimbabwe diamonds on account of the confusion they bring to the jewellery industry as whole. To further compound the global consumer confusion surrounding the diamond supply chain The Responsible Jewellery Council, a trade association established by the big jewellery brands, mining companies and dominated by the diamond industry, welcomed the export of rough stones from Marange region. This seems counter intelligent given that their mission is ‘reinforcing confidence in the diamond and gold supply chain’. RJC welcoming the export of stones that are clearly marinated in human rights violations, child labour, exploitation, political corruption and the violent deaths of small-scale miners seems to be working against their stated objectives. Naturally this support has led to a number of resignations from the association. What our friends in the diamond industry seem to be forgetting is that there is no ‘business as usual’ anymore for diamonds. Human rights is an issue that transcends the worldview of the small minority group who have set themselves up as champions of the diamond value chain. What is abundantly clear however is that The Kimberley Process does not include institutionalised human rights violations as a reason for expulsion from the system. A current loophole that has been expertly exploited by the Zimbabwe elite. Mugabe’s public and prolonged announcements that he would export Zimbabwe’s diamonds regardless of the Kimberley Process has demonstrated that the system itself apart from being foundationally flawed will cave in when bullied. This is not a victory for Kimberley; it is rather a knock out blow that has sent her into a coma. The inability of the underfunded and malnourished Kimberley to stand on her founding principles of stopping the trade in diamonds that are fuelling conflicts, which the situation in Zimbabwe has demonstrated itself to be, renders the current incarnation of Kimberley as anaemic and anorexic. She can no longer be relied on to protect the industry from being explicitly linked to violence, conflict and human rights abuses. This leaves the jeweller with a chill wind blowing through his diamond pipeline. If we cannot trust Kimberley whom can we trust? As a jeweller I know that physical traceability is the defining issue when it comes to ethical claims and considerations in the jewellery supply chain. The jewellery trade and its loyal customers deserves better than the compromise it is currently being served by its Dickensian diamond masters. Is Kimberley dead? Only the doctors’ report at the end of September when the Monitor reports what progress has been delivered on the ground in Marange, will we be able to conclude if she will recover from Zimbabwe’s abuse of her naivety and vulnerability. Should the bully succeed in killing her off I can only hope and pray her sister will have more backbone.